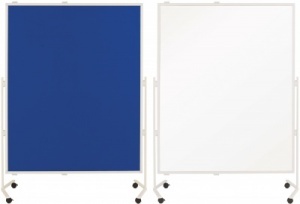 Available in 2 models the Multi-Board Mobile Presentation System offers a double sided pin friendly fabric surface or a dual use pin and magnetic whiteboard surface. 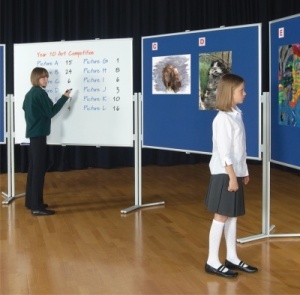 This is an exhibition and display system with a multitude of uses ie artwork display, photography, large format drawings etc. 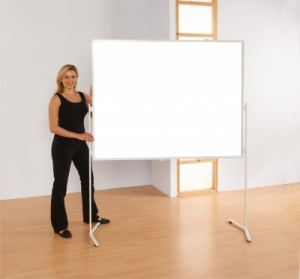 Whiteboard varients are ideal for brainstorming, interactive sessions and presentations. Large aluminium framed panels measure 1500 x 1200mmw that mount either portrait of landscape between sturdy steel legs. Giving a total height of 1950mm. 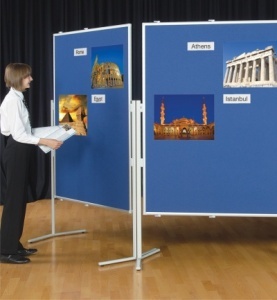 Supplied with adjustable button feet for stable positioning , caster sets are available to make the boards mobile. 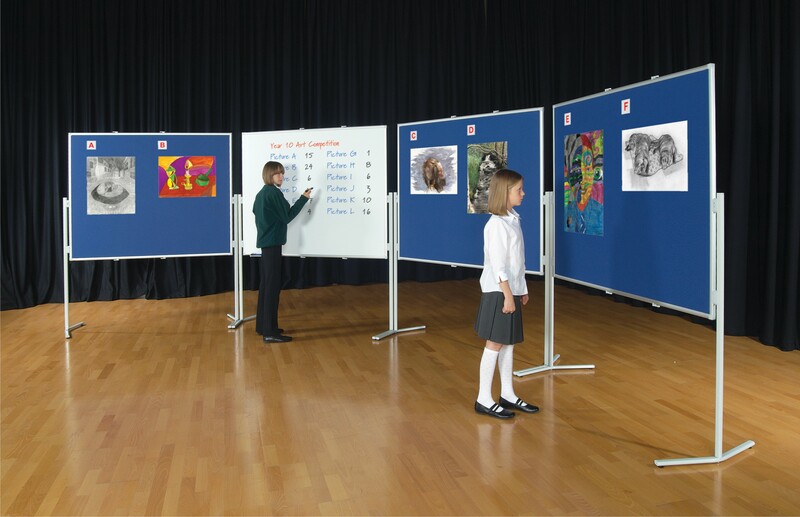 The Multi-Board system can be used in straight lines or curved arcs due to the unique angled feet. 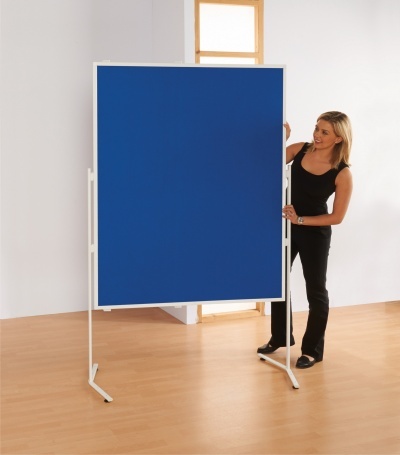 6 panels create a semi-circle and 12 panels complete a circle. 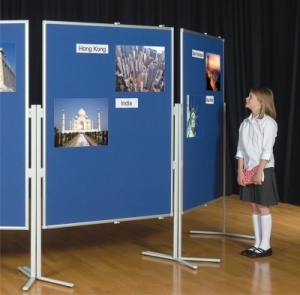 The Multi-Board mobile is ideal for large display events in school halls or entrances. Foot joining plates supplied to lock adjacent panels together. 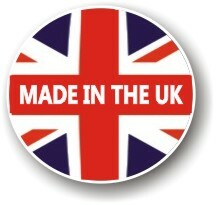 The robust construction will give many years of trouble free use.